This is the ideal Hermosa Beach house that you have been waiting for ! 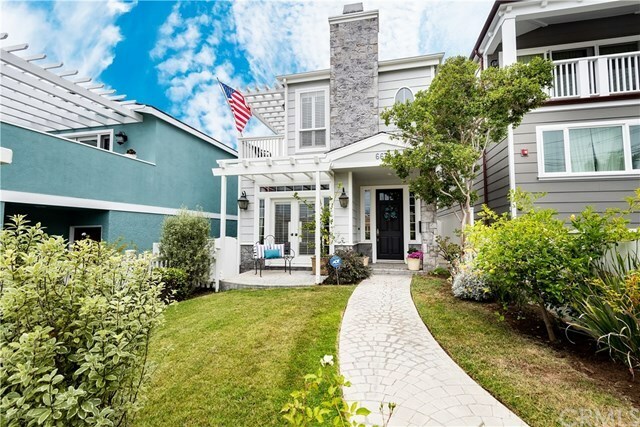 Adorable, 3 Bedroom, 2 Â½ Bath Cape Cod single family home complete with white picket fence and nicely landscaped front yard just a few short blocks to the beach and a short walk to downtown Manhattan Beach or Hermosa Beach. Huge, Newly renovated Roof Top Deck with panoramic ocean views. Gorgeous white oak floors throughout, Designer tile and plantation shutters. Cooks kitchen with Stainless Steel Bosch Appliances opens to dining area and charming living room with fireplace. Over-sized Master suite with beautiful, ocean view master bath and a spacious walk-in closet with custom built-ins. 2 car attached garage as well as plenty of street parking. The exterior of the home has just been painted. This home is a beauty and shows really well. Directions: Ardmore to Longfellow and East on Longfellow.